= I’m going to England 3 days from now. I’ll go and pile up (make) a lot of good memories and then return. I fell asleep with a happy heart, and then saw my brightly smiling image in my dreams. 현금과 수표 중에 어떤 것이 나아요? = Which is better? Cash or cheque? 지리와 수학 중에 어떤 수업이 더 힘들어요? = Which is more difficult? Geography or Math class? = So, I decided to go traveling. I decided to go to England, which, although geographically very close to Ireland, I had not been to once. 캐나다 국기와 태극기 중에 어떤 국기가 더 예뻐요? = Which flag is prettier? The Canadian or Korean flag? Notes: There are two types of blind dates in Korea. One is called “소개팅,” where two people are set up by family/friends and meet for the first time. Another type of blind date is called “미팅” where multiple people who don’t know each other all meet at the same time. 숙제를 오늘까지 안 하는 것에 대한 변명이 뭐예요? = What is your excuse for not having your homework done by today? Notes: A lot of Korean stores are these buildings called “상가.” Typically, this is a building made out of marble and has signs plastered all over the outside of it. In one of these buildings, there may be dozens upon dozens of stores (or other things like restaurants and other places of business). Stores in these buildings typically do not sell brand name products, although sometimes you will find a store in a 상가 that sells one specific brand name. The more popular brand names/stores would be on the ground floor of the building usually facing the street, while to get to other random stores you might have to go in and go up a few floors. = While I am renewing my contract, shall we also talk about my severance pay? = I tried to conceal my very happy inner emotions. Hahaha. But, I couldn’t stop smiling. 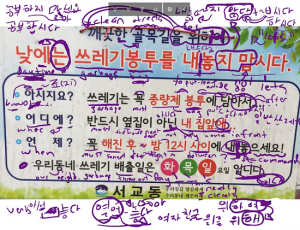 Notes: “무제한” looks like an adjective (who’s dictionary form would be “무제하다”) but it is actually a combination of the word “제한” preceded by the Hanja “무” (無) meaning “without”. Despite being a noun, it is common to see it before a noun describing it as if it were an adjective. 현금영수증 = a “cash receipt.” The Korean government tries to track cash transactions, so it allows people to ask for a “현금영수증” when making purchases with cash. If you do this, you get tax benefits at the end of the year. Notes: The word “물고기” (literally water meat) is used to refer to the animals themselves. “생선” is used to refer to the fish that we eat. = In Canada, when we eat fish, there is nothing but flesh (the meaty part of the fish). However, in Korean, when you eat fish, there is an actual fish on the plate. Notes: Notice that this word is simply “오래” (a long time) and 동안 (for). The purpose of adding ㅅ is discussed in Lesson 131. 텔레비전을 오랫동안 보지 마세요! = Don’t watch TV for a long time! 바나나와 사과를 샀어요. 그중에 어떤 것을 먹고 싶어요? = I bought bananas and apples. Between those two, which one do you want to eat? Notes: 올리다 is also used when “uploading” something to the internet. 우리 둘 다 해리포터 좋아하니까, 해리포터 촬영 장소도 꼭 가보자! = We both like Harry Potter, so let’s definitely also go to the place where the movie was filmed! 우리가 1년 동안 캐나다에 있을 때 우리 물건을 어디 보관할 거예요? = Where are we going to store our stuff when we are in Canada for a year? This word appears in Korean Sign Explanation Video 12. Notes: There is no good translation of this word to English. 천 원 짜리가 있어요? = Do you have any 1,000 won bills? = Between the 15,000,000 won car and 10,000,000 won cars, which one did you like more? 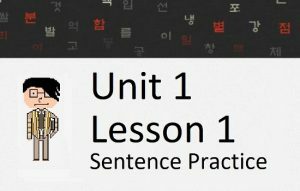 In this lesson, you will learn how to use 중, which is a very important word in Korean. By itself, it has the meaning of “middle” but it is never really used on its own. Combined with other words or grammatical principles, this one word can have a lot of meanings – most of them similar to the meaning “middle.” The Chinese (Hanja) character for this word is one of the easiest to know and recognize, as it is one of the few characters where the character actually represents the meaning of the word: 中 (the strike down the “middle”). Let’s look at how we can use 중 in Korean. Notice however, that 중 is a noun – and you can’t just end a sentence with a noun like that. Therefore, if you want to make those sentences perfect, you need to conjugate the noun using 이다. It is common to see this usage of “중” on signs that inform people what is happening in a certain place. Before you learn more about how to use 중, let’s first look at how you can use ~는 동안. The action of “standing up” occurs almost instantly and it is rare for other actions to occur while “standing up” occurs. 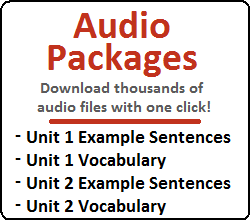 Pretty simple grammatical principle that can be used in a lot of applications. Now that you know that, let’s move on to learn more about 중. It is slightly easier to grasp the meaning of this concept if you remember the meaning of “중” is “middle.” Essentially, by making these sentences, you are saying “in the middle of all my friends.” Heh, not sure if that helps you, but it helped me understand it. 우리 중에 누가 제일 잘생겼어요? = Who is the most handsome among us? 부산과 서울 중에 어디 가고 싶어요? = Where do you want to go between Seoul and Busan? When talking about places you have gone, or things you have eaten or tried, ~아/어 보다 (which you learned about in Lesson 32) is usually attached to the verb before 중에. = I bought bananas and apples. Between those two, which one do you want to eat? 어떤 것을 먹고 싶어요? = Which (thing) do you want to eat? 어느 것을 먹고 싶어요? = Which (thing) do you want to eat? = Between this skirt and that skirt, which one did you buy? = Between bread and rice, which one do you want to eat? = Between the Canadian flag and the Korean flag, which flag is more pretty? = Between Geography and Math, which class is more difficult? Between cash and a cheque, which one is better? You’ve now reached the end of the Lessons 26 – 33! 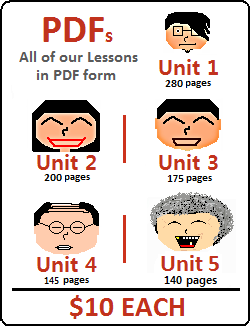 That means you can take our Mini-Quiz to test what you learned on those lessons! Why not try taking that test now! Confused? Try taking a look back on the past 8 lessons.